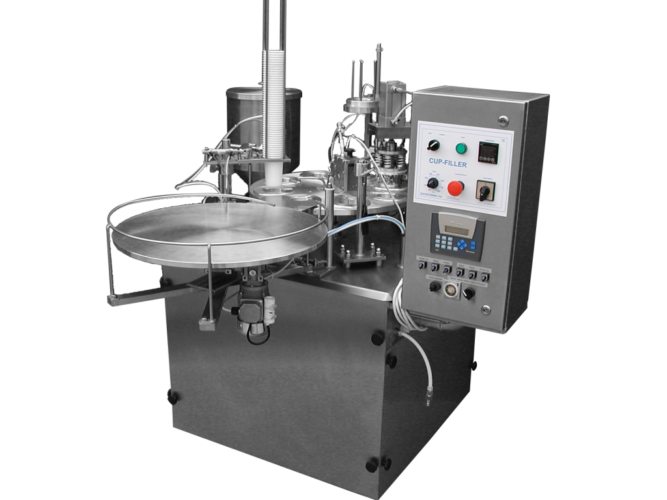 Fully automatic cup filling and closing machine "SENIOR-1800"
Full automatic cup filler, rotary filling and sealing machine with piston dosing and globoid cam index drive for filling liquid and viscous products in pre-formed containers. 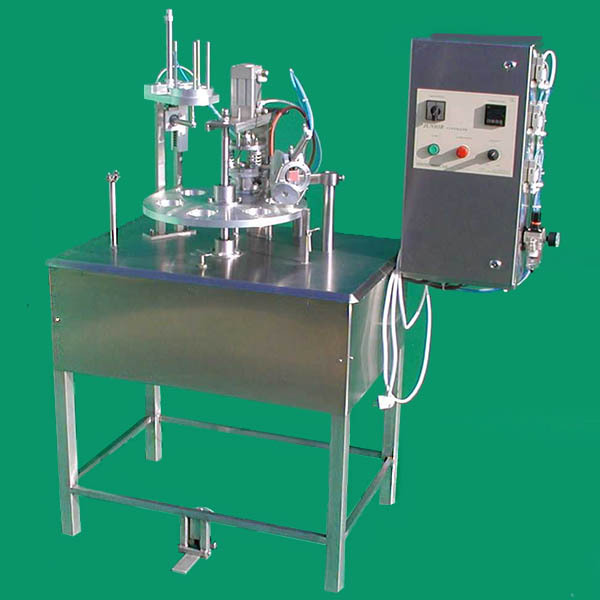 Operation of the cup filler is fully automated, for a capacity of 600-1800 cups/hour with liquid products in 75 or 95 mm diameter cups, and dosing range of 250 ml to 500 ml. 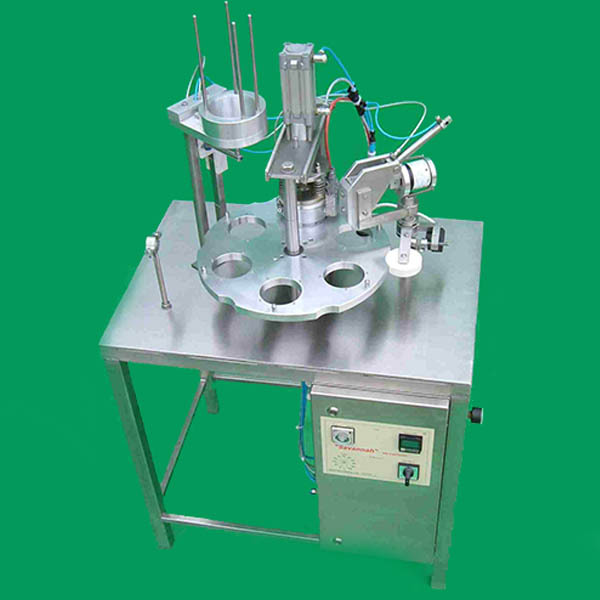 The "Senior-1800" rotary cup filler machine is built from stainless steel material, working with globoid cam index drive, and mechanical piston dosing, pneumatically operated. A built-in vacuum pump provides vacuum supply for the cup and lid dispensing. 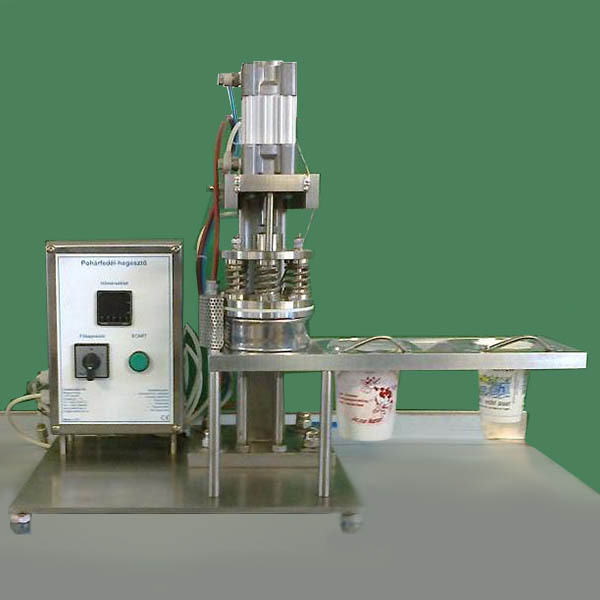 The cup filling machine as the working station is controlled with a PLC controller. The infinitely variable transmission is adjusted with a potentiometer on the front of the control box. 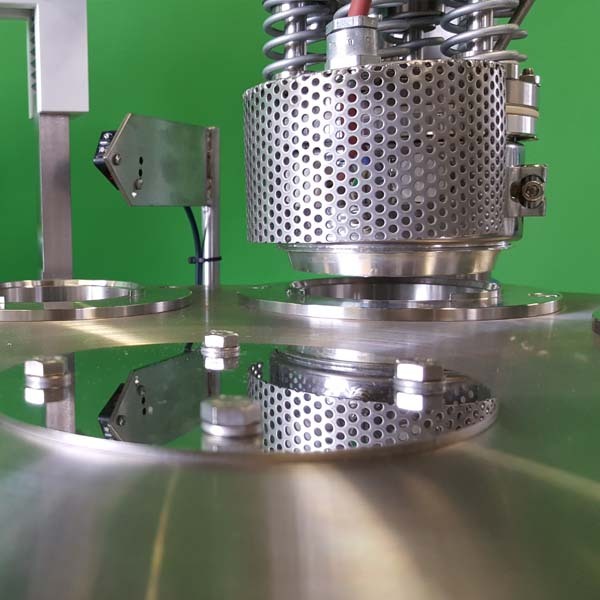 Product supply directly from the tank, or from a small receiver tank completed with level control. 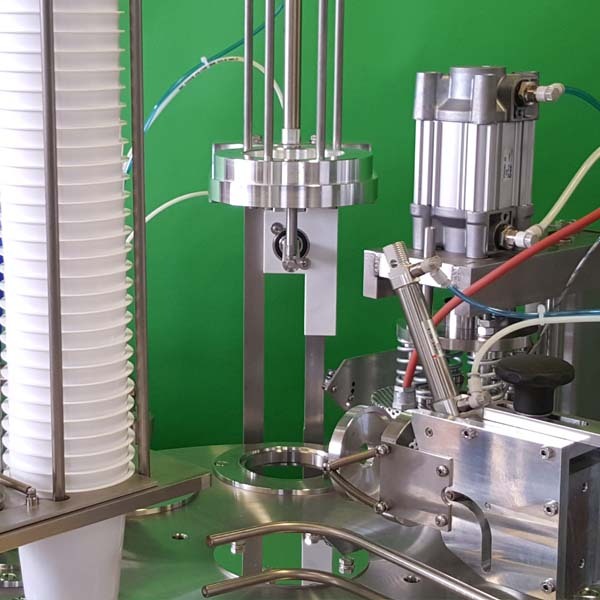 The "Senior-1800" cup filler is flexible regarding format change. 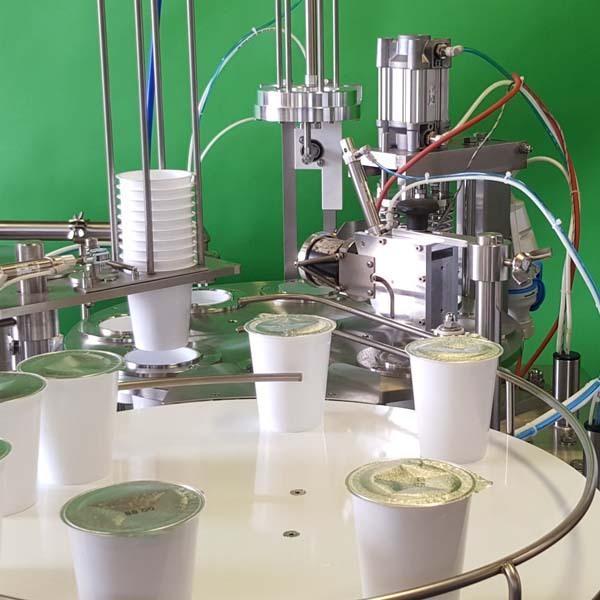 Cup size 75 mm or 95 mm diameter (including cup slats, lid and cup storage and sealing unit) can be replaced in a few minutes.